Take a look at this nonstick pressure cooker! The special method of cooking offered in this 2-Piece 6 Quart Low-Pressure Nonstick Pressure Cooker promotes healthier eating by retaining nutrients throughout the cooking process. Low pressure cookers are easy to use, and cook faster than traditional stove top preparation. This 6 qt pressure cooker is a good size for preparing larger pieces of meat or larger servings of vegetables for the family or guests. 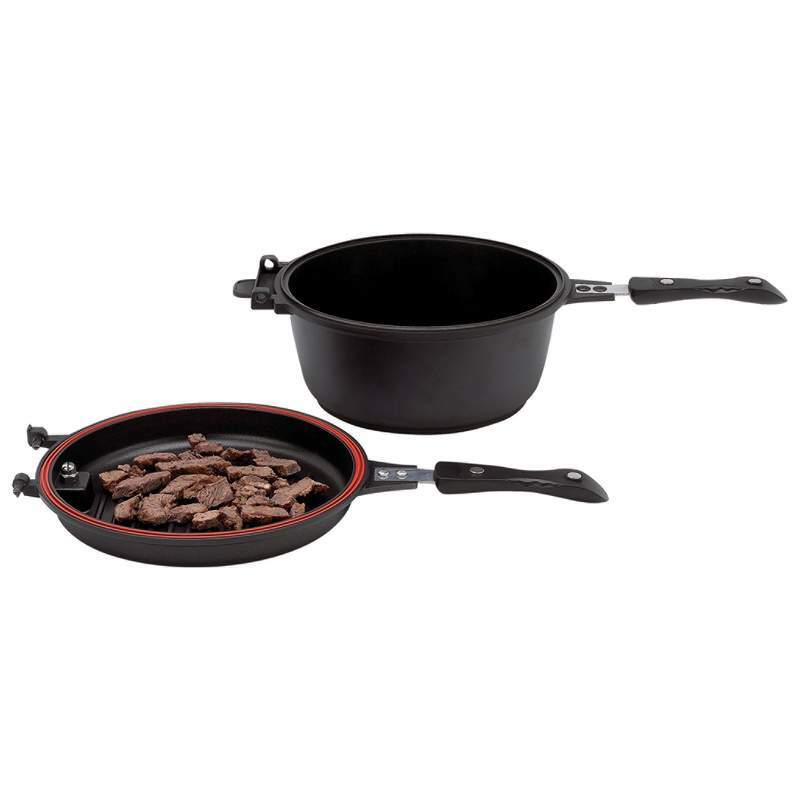 The non-stick interior surface makes clean-up quick and easy. Nonstick coating Enhances a quick clean up. Steam valve system Allows foods to cook with a minimum of liquid and no additional oil or grease. Pressure cooker Shortens cooking time up to 70%. Separate top and bottom Allow easy meal preparation and serving.